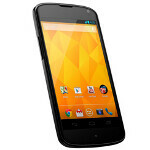 The Google Nexus 4 has been unavailable from the Google Play Store since its November 13th launch. So if you head over to the Play Store, you will now see a newly added recommendation to buy the phone from T-Mobile for $199 after a $50 mail-in rebate and a signed two-year pact. And even though the T-Mobile deal is for the 16GB model, which is the only variant that the carrier offers, the recommendation is seen in the Google Play Store for both the 8GB and 16GB versions. The interesting, and certainly frustrating thing is that if you click on the link from the Google Play Store, you are sent to a T-Mobile web page for the 16GB Google web site that shows the phone as being sold out. So in effect, you are going from a site which lists the 16GB Google Nexus 4 as being sold out, to another site for the 16GB Google Nexus 4 that shows the phone as being sold out. 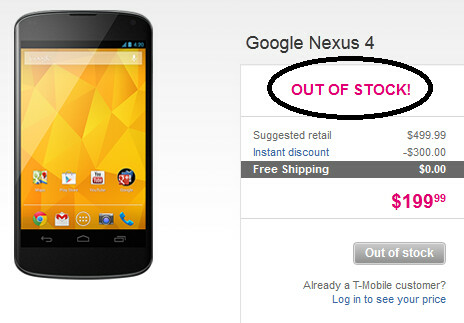 Eventually, inventory will be replenished at both the Google Play Store and the T-Mobile website. But what you can do if waiting for an unknown date in the future is not an option, is call the T-Mobile locations in your area to see if any of them have the device in stock. If they do, you will have the choice of getting locked up with the carrier for two-years at the aforementioned $199 after-rebate price,or pay $499 for an unlocked model with no handcuffs. That is $150 more than the $349 you would pay at the Google Play Store for the same exact phone. But you know what they say about a bird in the hand. i dont think i want to be locked-up for 2 years and hold my patience,hahaha got mine already! yay..
Tmobile should have made this phone free on contract. 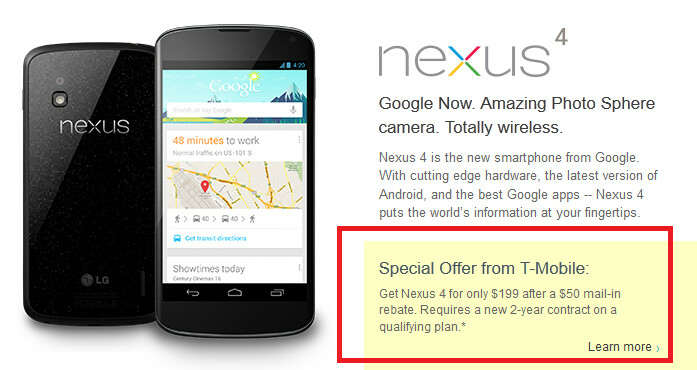 I'd buy a Nexus. Just not an LG for the rest of my life. Time after time my LG's were junk and for the last time I vowed never to buy another LG. May be a good phone, but I do not support LG anymore. 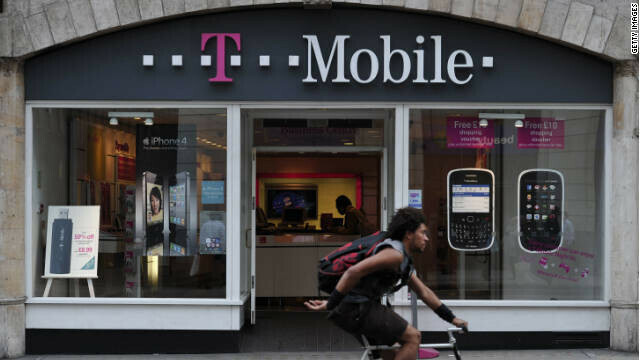 If the price was 99$ or even 149$ with contract, I think many will go for T-Mobile one. But 199$ after rebate is like rip-off, imho.. I would like it to be available without a carrier. I will have to keep checking back to see when stock is available without contract. What p**** is trolling? Seriously, thumbs down to every comment at the same time? Childish.